Let us face the reality of our time without panic. When the circumstances we see in the world are ugly, harsh, and relentless, how do we respond? Is it truly possible to respond with kindness and compassion? How can we learn to meet reality’s 10,000 joys and 10,000 sorrows with the wisdom that knows when to surrender and when to take action? Fortunately, it is possible to come to a deeper understanding that informs our skillful response. Join meditation teacher, Johnathan Woodside for this in-depth two-hour instructional presentation on the practice of mindfulness and how this wholesome characteristic of mind can be cultivated through a daily meditation practice to help us meet the reality of our time. To complement this presentation, Ilona, Founder of Life Dimensions will lead you through a couple of ten-minute relaxation and gentle movement sessions with an intro to Tune-Up Therapy. At the start and midst of this presentation, Ilona will offer a practice that is accessible to all individuals in the session. Join this duo as they lead through an evening of knowledge, instruction and light movement together. 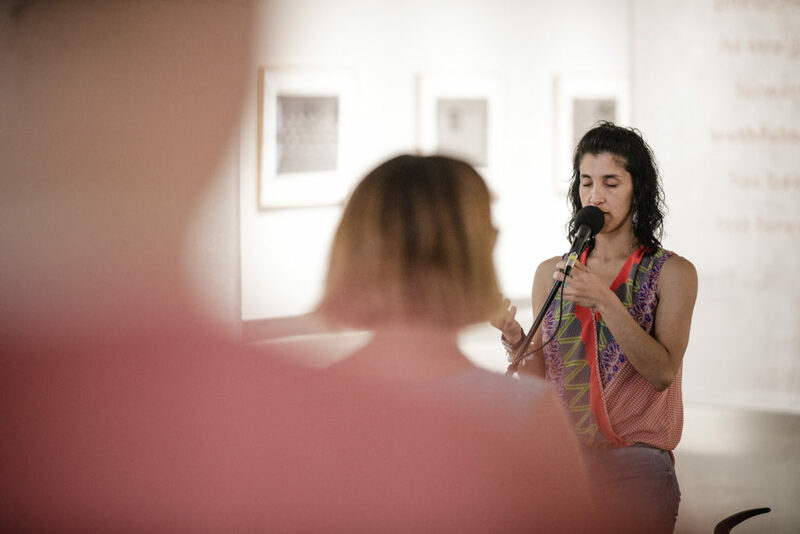 About Centered: Centered is a program series that embraces the creative practices by which humans tap into personal healing and wellness through artistic expression, psychological and physiological awareness, and communication. Created in collaboration with Life Dimensions by Ilona, Centered provides unique experiences focused on the healing arts through mind-body therapies, laughter and humor, meditation and spirituality. Led by qualified practitioners and healers, Centered sessions aim to positively impact every participant’s overall wellness. About Life Dimensions by Ilona: Established in 1998…Founder and Owner Ilona Holland moved from being a Personal Trainer/Instructor to what is today known as Life Dimensions by Ilona. A company built on love, trust, expertise and professionalism. Her own story and passion for holistic wellness, developed into a lifelong mission leading to the establishment of her own company in 2012. Since the 90’s she has been traveling, studying and practicing a variety of fitness and wellness techniques, geared to helping fulfill her client’s holistic wellness goals. Ilona has now made her stop in Council Bluffs as ThetaHealer, LMT, Relaxation Therapist, Holy Fire Reiki Practitioner, Life Coach, Yoga Teacher & Presenter. Ilona introduces the team that supports our mission to create a space that permeates, “love, rest, relax, community, understanding, fun and healing”. Our services and workshops provide you with a deeper understanding of the self as we work our way to shining your true light, healing relationship with self & others as well as seeing the Divine in everyone and everything. About Johnathan Woodside: Johnathan Woodside is the Founder and Executive Director of Mindfulness Outreach Initiative; an Omaha based nonprofit organization established in 2012 that works to make comprehensive meditation instruction and mindfulness training accessible to all. As a meditation teacher following the Vipassanā (Insight Meditation) tradition, Johnathan is engaged in bringing mindfulness and self-inquiry into the mainstream of wellness programs and daily life through his personal interactions and teachings. Introduced to practices of self-awareness and self-inquiry in his pre-teens, he has been exploring different forms of meditation for the past three decades. His enthusiasm for introspection matured into a formal meditation practice nearly two decades ago and reached a degree of unwavering commitment over the past ten years. He has been publicly teaching meditation since 2011 and encourages his students to approach meditation with practicality and diligence. 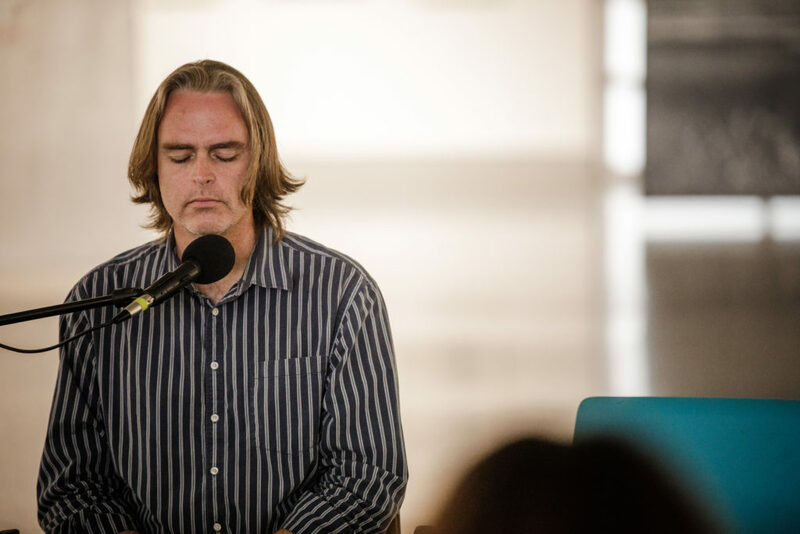 Johnathan is an influential leader in the development and support of Omaha’s growing community of meditators. He inspires individuals to practice meditation daily and to live mindfully with kindness, generosity, and wisdom. Johnathan teaches classes and retreats on mindfulness meditation for individuals to explore and deepen their understanding of the practice and he provides mindfulness training through his community outreach efforts. Fortunately, it is possible to come to a deeper understanding that informs our skillful response. Patrons joined meditation teacher, Johnathan Woodside for this in-depth two-hour instructional presentation on the practice of mindfulness and how this wholesome characteristic of mind can be cultivated through a daily meditation practice to help us meet the reality of our time. To complement this presentation, Ilona, Founder of Life Dimensions lead us through a couple of ten-minute relaxation and gentle movement sessions with an intro to Tune-Up Therapy. At the start and midst of this presentation, Ilona offered a practice that is accessible to all individuals in the session. We joined this duo as they lead us through an evening of knowledge, instruction and light movement together. Centered is a program series that embraces the creative practices by which humans tap into personal healing and wellness through artistic expression, psychological and physiological awareness, and communication. Created in collaboration with Life Dimensions by Ilona, Centered provides unique experiences focused on the healing arts through mind-body therapies, laughter and humor, meditation and spirituality. Led by qualified practitioners and healers, Centered sessions aim to positively impact every participant’s overall wellness. Established in 1998, founder and owner Ilona Holland moved from being a Personal Trainer/Instructor to what is today known as Life Dimensions by Ilona. A company built on love, trust, expertise and professionalism. Her own story and passion for holistic wellness, developed into a lifelong mission leading to the establishment of her own company in 2012. Johnathan Woodside is the Founder and Executive Director of Mindfulness Outreach Initiative; an Omaha based nonprofit organization established in 2012 that works to make comprehensive meditation instruction and mindfulness training accessible to all. On Saturday, Janurary 27th, Ilona Holland held the first workshop in the Centered series, Discover your Light. Centered is a program series that embraces the creative practices by which humans tap into personal healing and wellness through artistic expression, psychological and physiological awareness, and communication. Created in collaboration with Life Dimensions by Ilona, Centered provides unique workshops focused on the healing arts through mind-body therapies, laughter and humor, meditation and spirituality. Led by qualified practitioners and healers, Centered sessions aim to positively impact every participant’s overall wellness. In the natural order of things, life calls us to move beyond the safety and security of friends and family, to embrace our kinship with Mother Earth and the beautiful light in all creation. What steps do we take, from the starting point of “me”, to join the universal dance of “we”? “Discover Your Light” was a mindfulness meditation and vibrational sound healing experience taking place inside and out, of Taylor Dean Harrison’s ENUNCIATION. ENUNCIATION is a stainless steel sculpture – a cocoon of playable LED light. Participants were led by Don McKenna, an accomplished meditator, through a somatic meditation focused on getting you into a mindful awareness. Val Stickler used Vibrational Sound Therapy, a holistic modality using vibration and sound that resonates throughout the body. Helping participants to relax, meditate and sleep, Vibrational Sound Therapy promotes self-healing of body, mind and spirit. Their journey was completed within the vibration and sounds of Himalayan singing bowls, chimes and drums complimented by Ilona’s guided imagery meditation and Sue’s healing touch. Established in 1998…Ilona moved from being a Personal Trainer and Aerobics Instructor to what is today known as Life Dimensions by Ilona. A company built on trust, expertise and professionalism. Her passion for holistic wellness, developed into a lifelong mission leading to the establishment of her own company in 2012. Since the 90’s she has been traveling, studying and practicing a variety of fitness and wellness techniques, geared to helping fulfill her client’s holistic wellness goals. Ilona has now made her stop in Council Bluffs as a ThetaHealer, Licensed Massage Therapist, Relaxation Therapist, Reiki Practitioner II, Life Coach and Yoga Teacher & Presenter. Ilona introduces the team that supports our mission to create a space that permeates, “together, love, rest, relax, community, understanding, fun and healing. Our services provide you with a deeper understanding of the self as we work our way to shining your true light, healing relationship with self & others as well as seeing the Divine in everyone and everything. Don McKenna is Meditation and Mindfulness facilitator at the Omaha Healing Arts Center (OM Center), the Center in Council Bluffs, Iowa, and around the Omaha Metro. He is certified in Meditation, Mindfulness and Holistic and Integrative Health. Don is a Reiki Master/Teacher, certified in Therapeutic Touch, Fifth Level certified in Chaoyi Fanhuan Qigong, and has studied various shamanic practices. Author and healer Sue Senden brings over 30 years of experience utilizing her unique blend of Reiki and Mari-El blended with the Chi energies to create a unique powerfully healing experience. We…Ilona Holland, Sue Senden, Don McKenna and Val Stickler came together to bring you a 90-minute gathering of Vibrational Sound Therapy and deep Reiki healing in a sacred space of oneness. We joined the Reiki Healers under the immersive light installation, TRIPH. TRIPH, created by CIRCUS FAMILY, invited participants to direct intensity, audio and color gradients through movement. We got ready for the Spring Season and emerged with a wholeness in body, mind and spirit.